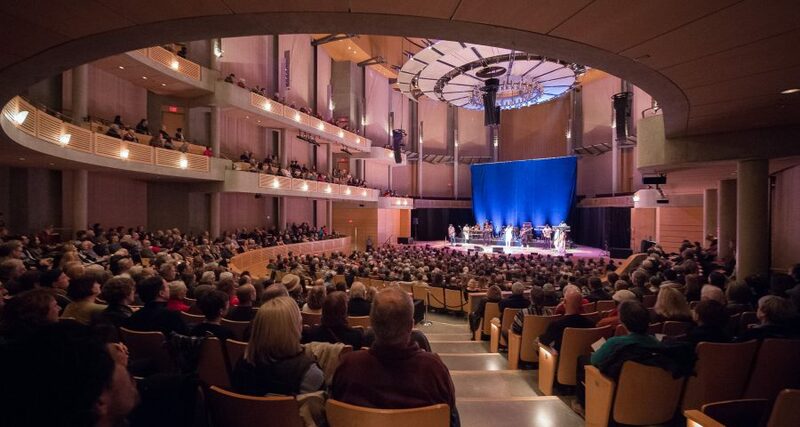 When Santa J. Ono became the 15th President and Vice Chancellor of the University of British Columbia in 2016, his official installation ceremony was held at the Chan Centre. But Ono did more than take the usual Oath of Office: he also provided some of the event’s music, playing cello in a trio on the Chan Shun Concert Hall stage. The building was specifically designed to look discreet and unassuming, but it has become what Ono calls “the heart of the university” — a focal point for music, theatre, film, and ceremonies. It’s an essential asset for students and faculty; but importantly, it’s also one that attracts the wider community. Dean of Arts Gage Averill agrees. He says that, in addition to being a busy hub for The Faculty of Arts, the Chan Centre has exposed generations of arts students to performers, authors, and speakers, both local and international, who continually move and inspire. The centre has become so tightly woven into the cultural fabric of the university and the larger region, it’s easy to forget how rare such facilities are in academic settings. In fact, the majority of the world’s most esteemed institutions don’t have anything that can compare, so it has added to UBC’s prestige.